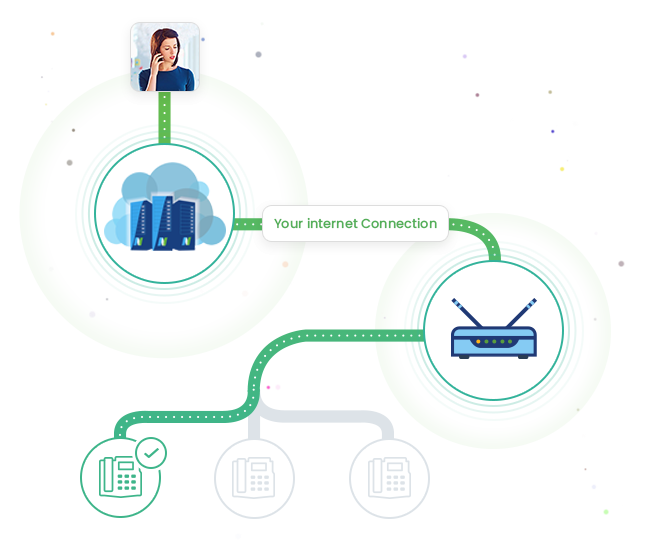 VoIP is essentially making calls over your IP instead of through a hardline. Automation: route calls to the right department. 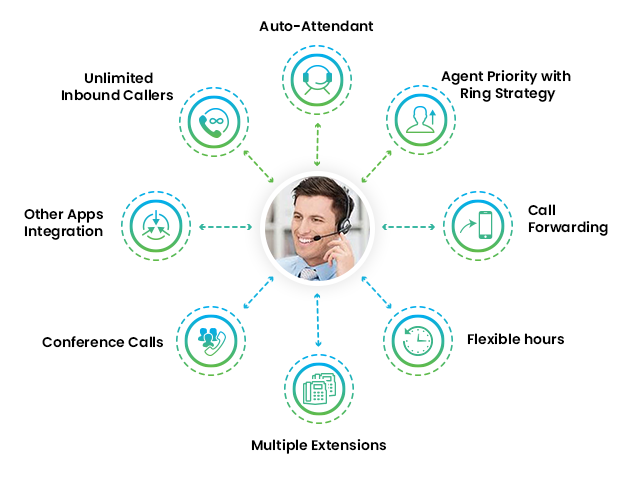 Flexibility: call flow samples to always serve your callers. Productivity: record, analyze, optimize, connect and sync your call data. Mobility: answer your extension on your smartphone, anywhere. Sign-up Online or chat with one of our account managers. Place an order for your new IP Phones or install softphone. Port your existing number over, if needed. 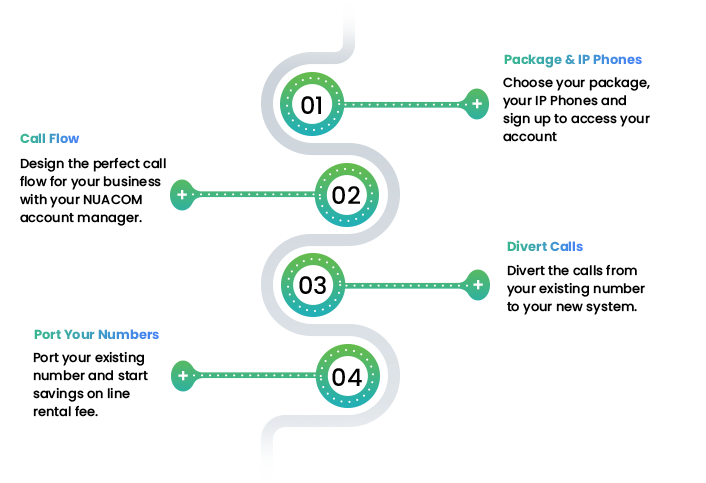 Set your call flow, group extensions and you are ready to use. In case you wish to use a softphone, you can set it up in 10 minutes.